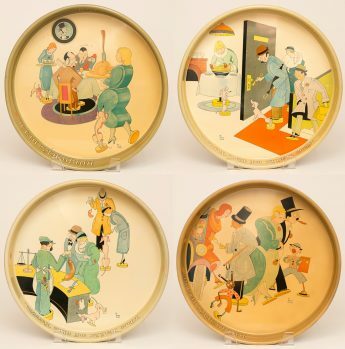 Set of 4 tin litho advertising trays for Ruppert's beer created by illustrator Hans Flato. 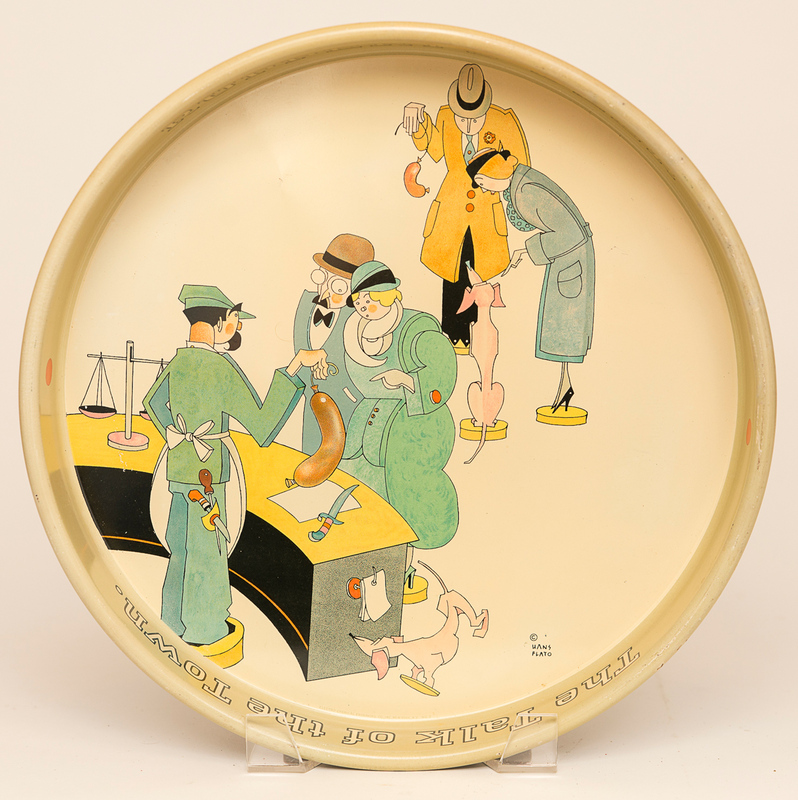 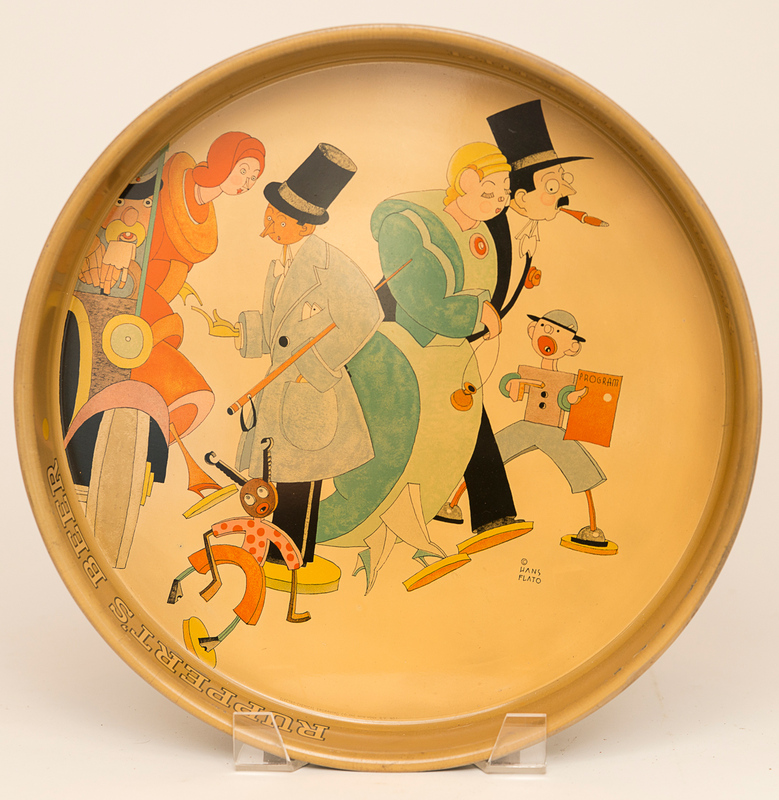 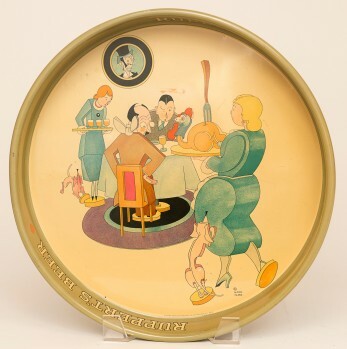 These art deco trays are quite scarce and a complete set of the serving trays is a treat to offer. 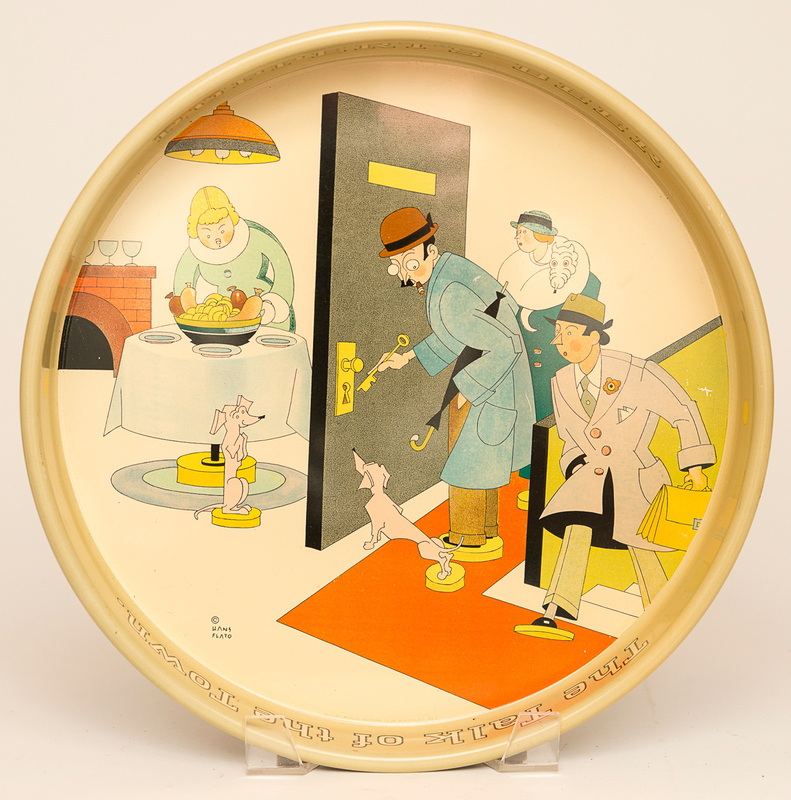 Minor wear and some discoloration to some trays, still nice glossy finish on all, one tray is yellowed compared to the other 3.